Are you vintage? Apparently I have reached the vintage age. 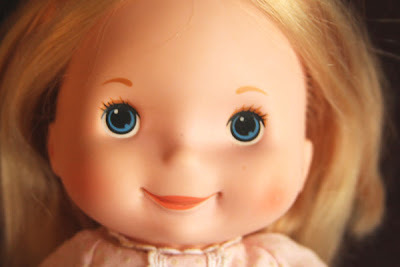 I have been on the search for a doll from my childhood. 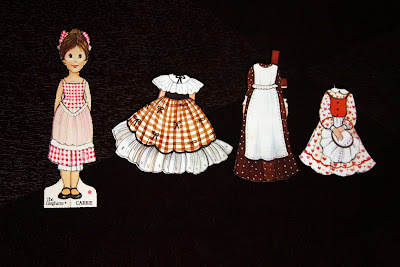 I saw one on a blog and I must say, a whirlwind of memories came back to me, and I thought, I would like to have that doll again. The first place I saw her was at Wee Wonderfuls, and then again at Angry Chicken. 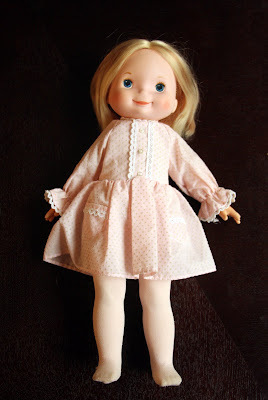 Now I have my very own, the seller had named her a”vintage my friend Mandy doll”. Now she is all mine! You can find clothes for her on Etsy at Teesies’s shop. Not that mine will need new clothes, as she is just a keepsake. I must admit, when I opened the box, I almost cried. I am not a weepy person by nature, but the flood of memories overwhelmed me. My dad past away when I was seven, and this doll is attached to the very few memories I can recall about him. My totally awesome mom, (who has been doing mission work in Guatemala for the fast few years) use to buy these for me and my four sisters, yes, four, no boys. My favorite was always Carrie. I got a whole set including Gran. 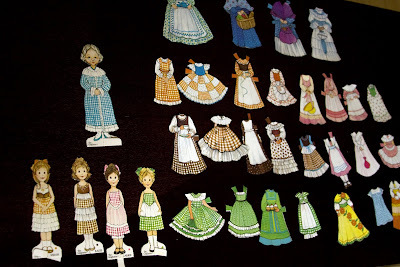 I do adore paper dolls. 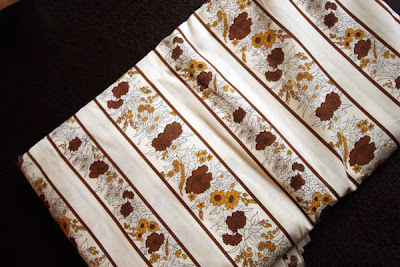 Since I was on this roll of vintage finds, I also picked up this beautiful fabric, 5 yards!!!! It was a great deal. Hope you have a super weekend. I will leave you with a little tune to grab the kids and dance around the house to. just beautiful. can't wait to see what you make from it. 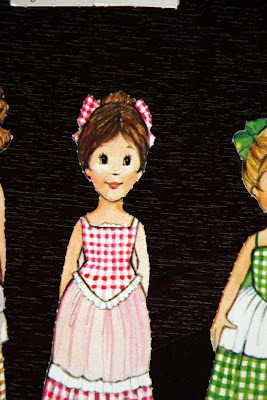 Loved paper dolls too – did you also make your own? We did ;)So much fun. 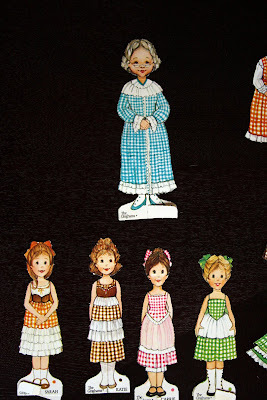 I can beat you on the sisters – there are SIX of us girls altogether – Mum was trying for a boy LOL! I'm glad you got your doll and that she means so much to you – we all need a little bit of that. 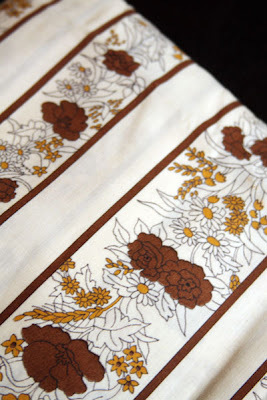 I too LOVE vintage fabrics ! I have a huge stash of them and sew many items from them all by hand. Some of these items are in my store, but many of them are given as gifts or used in local fundraisers. I will be following your blog with mine now.